If you’ve ever visited or flown over the Grand Canyon, imagine the same wonder and beauty on a Hawaiian island overlooking the Pacific Ocean. Waimea Canyon is often referred to as the Grand Canyon of the Pacific. 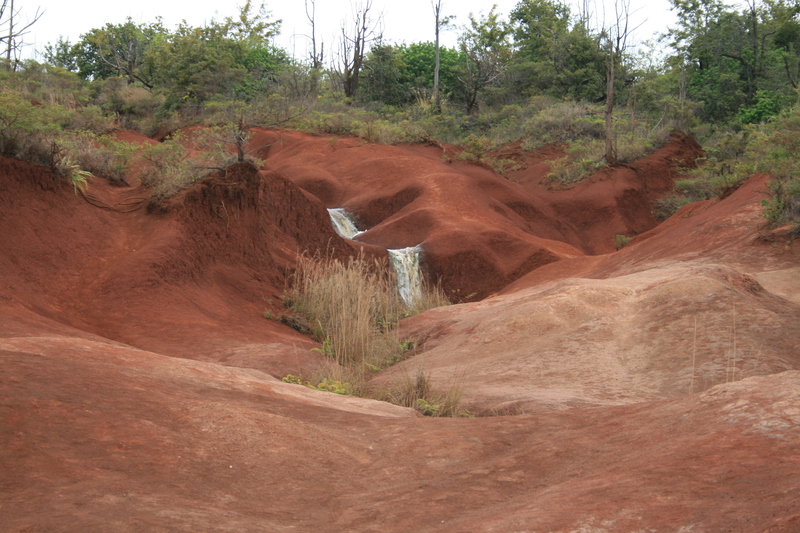 It is located on the western side of Kauai and is approximately 10 miles long. When you enter Waimea Canyon State Park and drive through, you will enjoy magnificent views of the Pacific and in the distance on a clear day you’ll see the mysterious and privately owned island of Niihau, often referred to as The Forbidden Isle. The blues of the sea and sky, in contrast to the terra cotta and red hues of the canyon, sprinkled with green, do not disappoint. 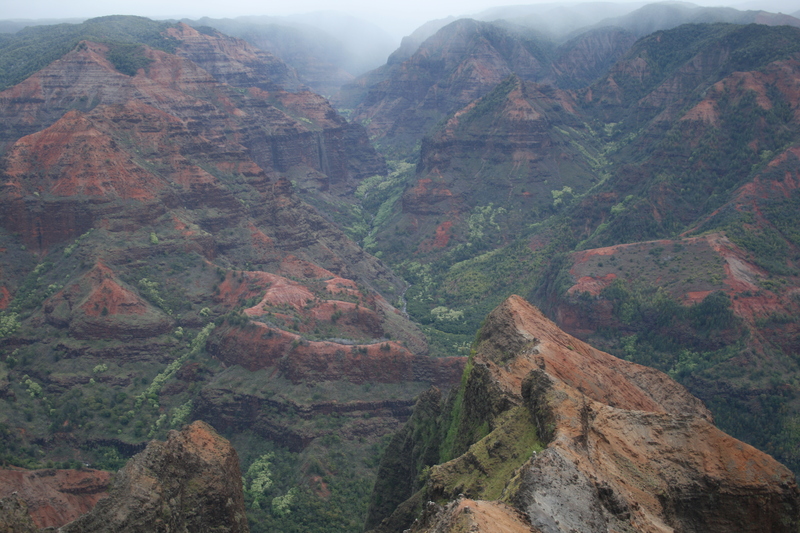 Waimea Canyon is a scenic jewel and a hiker’s dream. 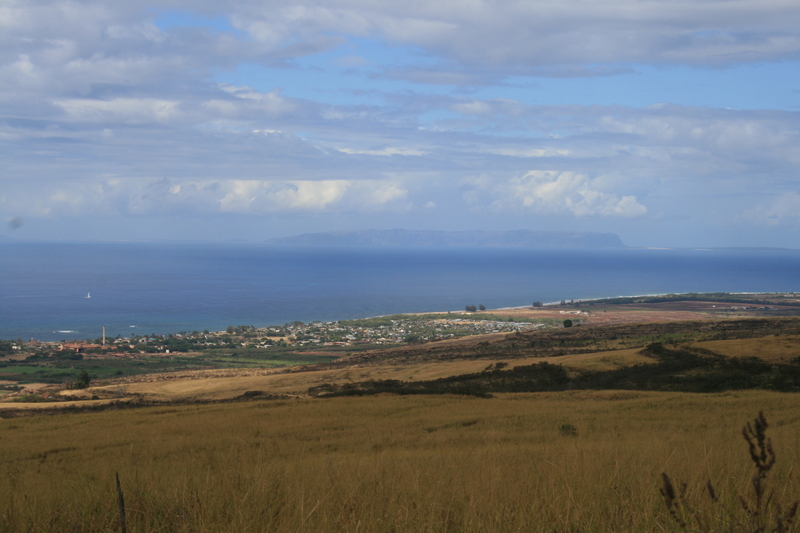 There is an easy and short hike, the Iliau Nature Loop, and a longer, more difficult hike of Kukui Trail, a 2.5 mile hike down the west side. The adjacent forest reserve has other hiking trails into and out of the canyon. 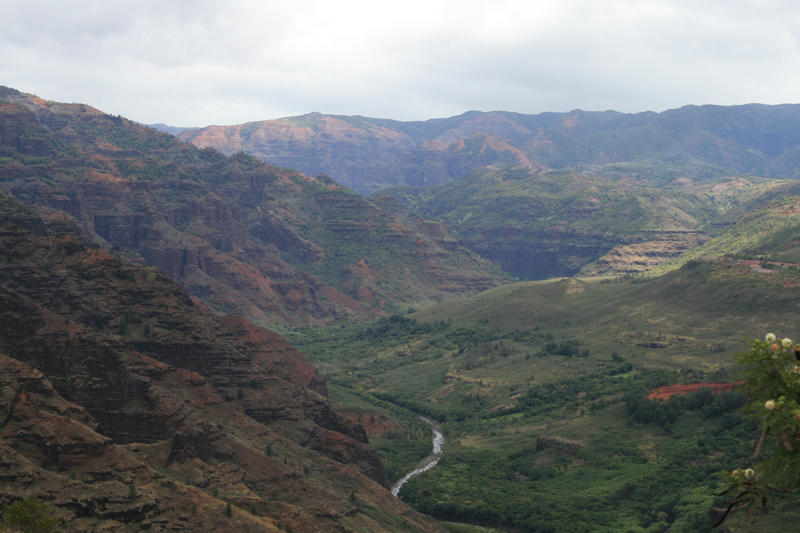 Waimea Canyon State Park is located 11.1 miles north of Kekaha on Koke‘e Road (Highway 550). Bring your camera. Be sure to pack your own drinking water. Enjoy the view. This entry was posted in Hawaii, Kauai, Travel and tagged Hawaii, Hawaiian Islands, Kauai, Travel, Waimea Canyon State Park by alohajournal. Bookmark the permalink. I found a true happy place at the top of a hike in that canyon. I carry the images and the quiet with me every where I go. They remind me of a moment when I was happy all the way to my core. It’s a special, special place. Heavenly.